In this semester I took two Liberal Studies lessons. One is “Knowing about the starry night”, the other one is “Insects and life”. I had done the Liberal Studies report on the early October. “Knowing about the starry night” is one of the famous lessons in our school, many students will attend the lesson although they have not selected this subject. The reason is the teacher is very funny. I was lucky enrolled this lesson successfully and start my first step to learn about the universe. The course content includes learning astronomical knowledge, understanding Chinese and foreign astronomy, the process of development since ancient times, and the relationship with the evolution of human society. The report requires us to observe and record the movements of the moon, the planets, and the stars in the night sky. Because I never learn these before, I was a bit confused when I started recording. Fortunately, the helpful of teaching assistants, before slowly learning to measure the bearing and elevation, to make the right record. The first serious look at the star found that the phone camera cannot take pictures of the beautiful starry sky, only can draw their location for a record. I used to think that the burden of this course was heavy, because of the research and reports, and the test was notoriously difficult. I had regretted choosing it, but during the recording process, I really learned a lot of new knowledge that I hadn’t had access to before. one of the reports of “Insects and life” is doing a insects rearing record. Before started a rearing record, I had to catch an appropriate larva. In one of the afternoon on Saturday, I spent 3 hours to look for a larva to start my rearing record. In fact, I am afraid of insects, but after I rearing it, I found that it is quite lovely. In October, the workload of my studies started to increase gradually. Every week there were at least 4 pieces of homework. It was very hard to save time for revising. But still, the mid-term tests are coming which are at the beginning of November, so every week I still reviewed subjects like chemistry, Biostatistics and Anatomy. 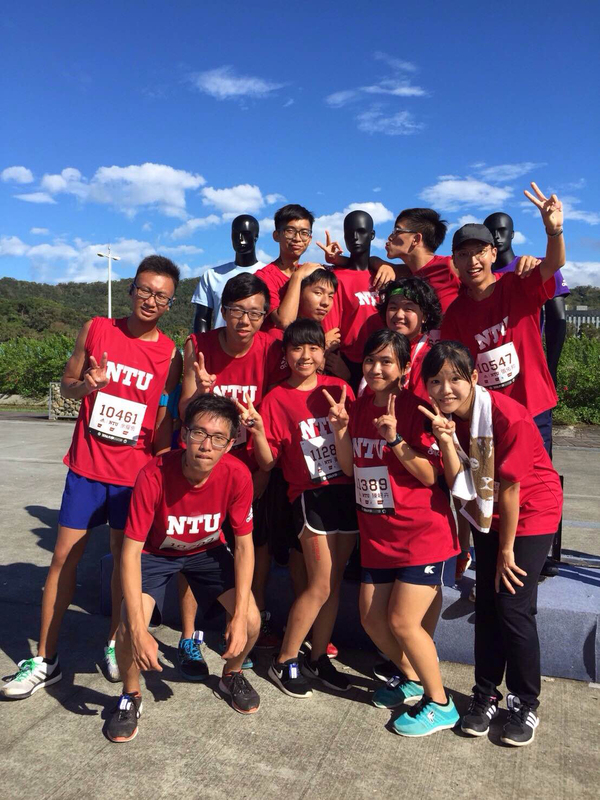 The most memorable thing of this month was that I participated in the University 10km run. I joined the event with my classmates. This was the first time for me to run a relatively long distance. I worried about whether I could finish it or not, luckily, I finished first among my classmates with a time less than an hour. I hope I could participate in events like this once again in the future with me better-prepared.